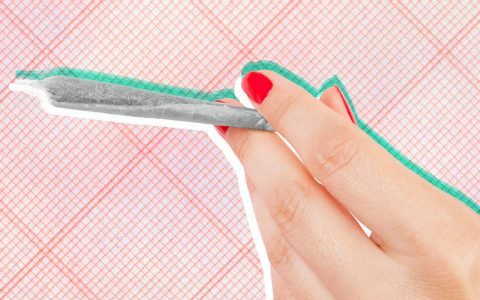 Canada’s first post-legalization holiday season is here and it’s time to spread some joy. 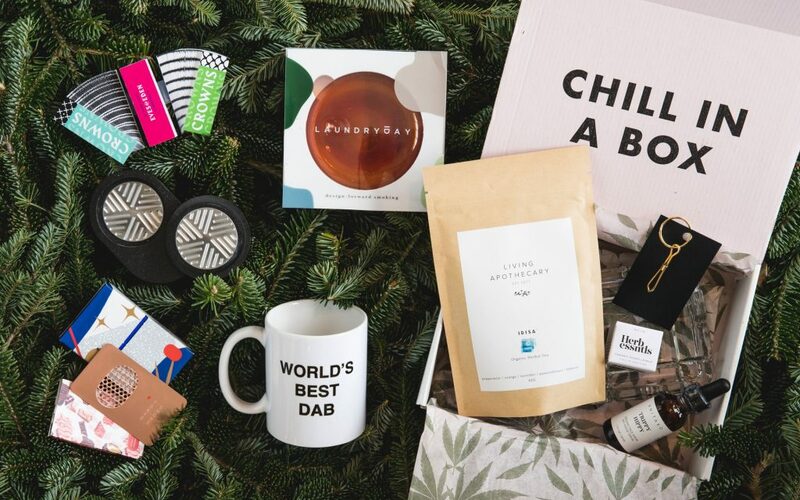 Whether you’re gifting your best buds or introducing cannabis to a curious new-toker, these elevated gift ideas are sure to be a hit! 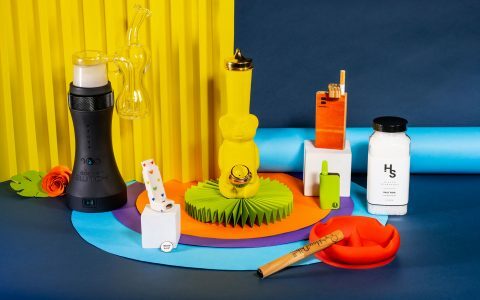 While there’s no shortage of wishlist-worthy products on the market, we’ve rounded up the most coveted cannabis accessories that this country has to offer. 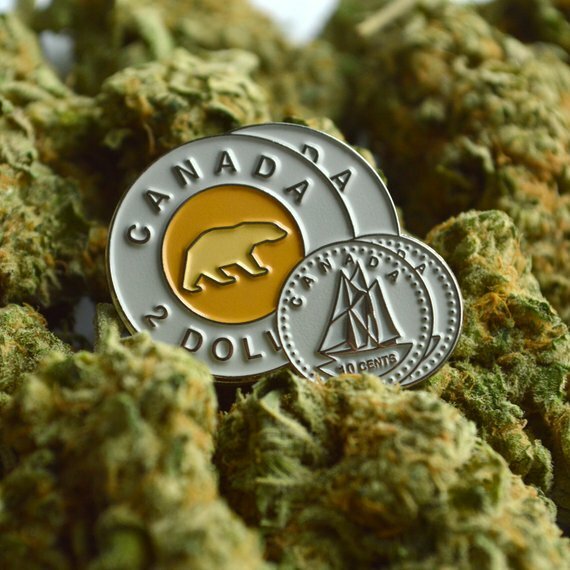 Commemorate the year Canada legalized cannabis with this “super subtle and ultra Canadian enamel pin” from Calgary, Alberta’s Boldfaced Goods. While the face value might be $4.20, this sweet wearable accessory will set you back $12.39. 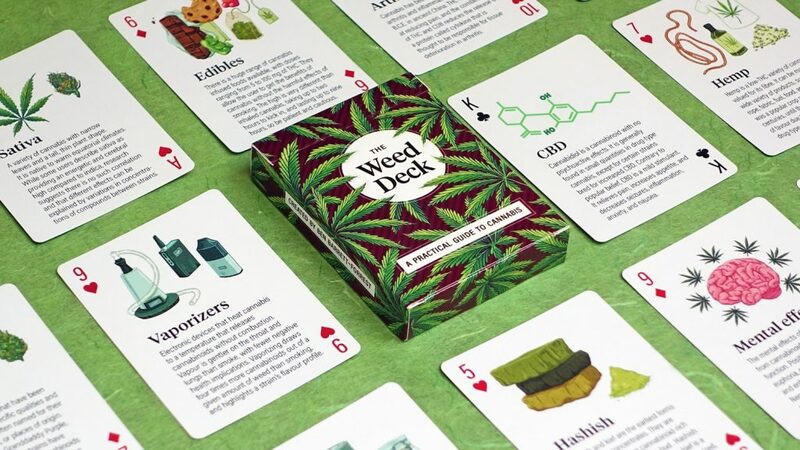 Created by Victoria’s Ben Barrett-Forrest, and featuring illustrations from fellow Canadian Celia Krampien, this deck of cards ($16) is a practical guide to all things cannabis that boasts that it’s beautifully designed and meticulously researched. 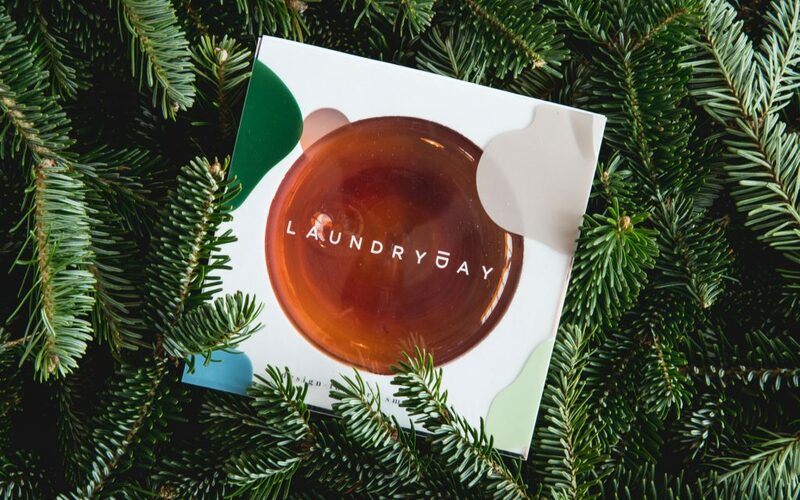 Based out of Tofino, British Columbia, Laundry Day makes “design-forward smokeware” that could double as home decor. Find this hand-blown borosilicate glass pipe, at $80, online and at discerning head shops across the country. 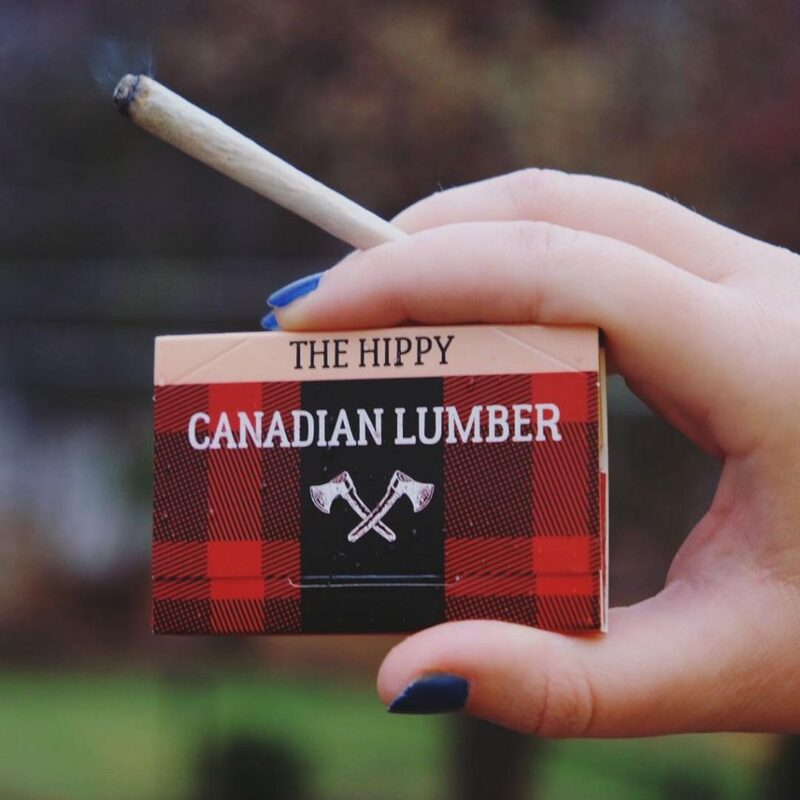 From Canada’s east coast, The Canadian Lumber Company deals in unbleached, untreated, and unrefined rolling papers made with 100% pure Arabic Gum. Get a free pack just by signing up for the company’s newsletter. 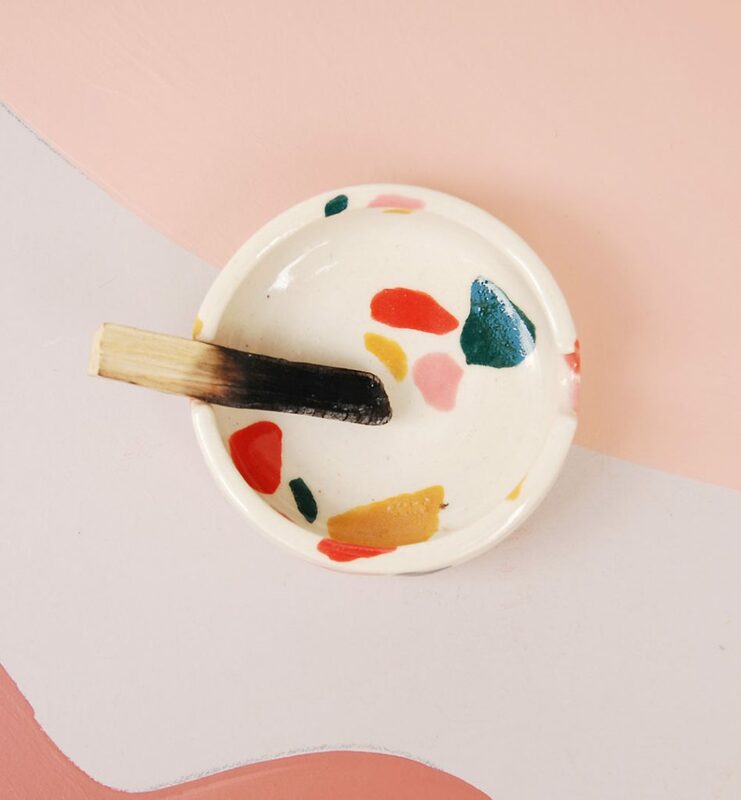 Priced at $30 online, from Toronto-based Night Shift Ceramics, this stoneware ashtray features a glazed design inspired by terrazzo tile. 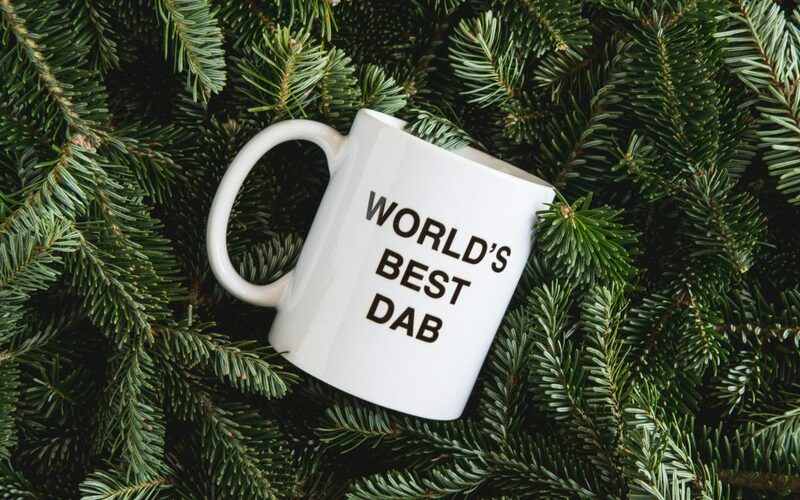 From Vancouver’s Studio A-OK, this $20 mug is the perfect present that’s on budget—and on point—for a 4/20-friendly gift swap. 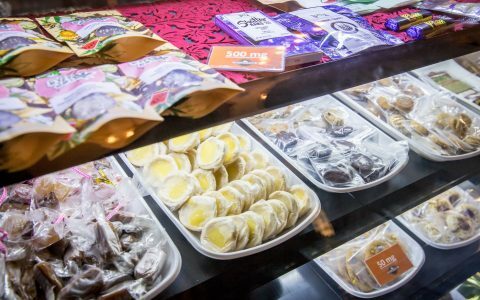 Find it for sale online or pop into stores like Toronto’s Easy Tiger. 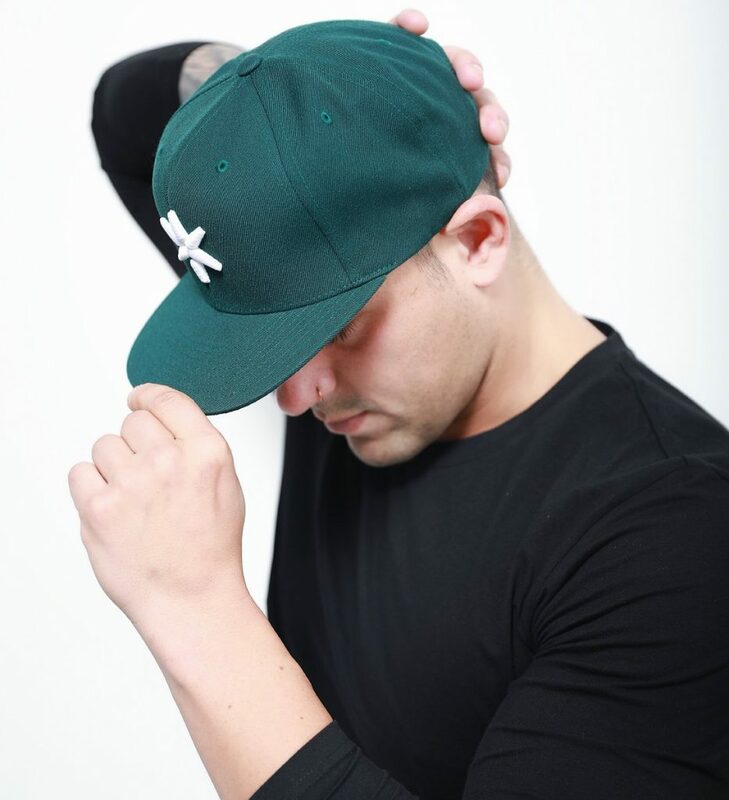 While cannabis isn’t always associated with athletic performance, this Calgary-based ICE Cannabis Athletica takes on the stereotypes with a selection of athletic wear meant to allow fit cannabis users to show off their pot pride at the gym. Find snapbacks, toques, leggings, and more from $30. 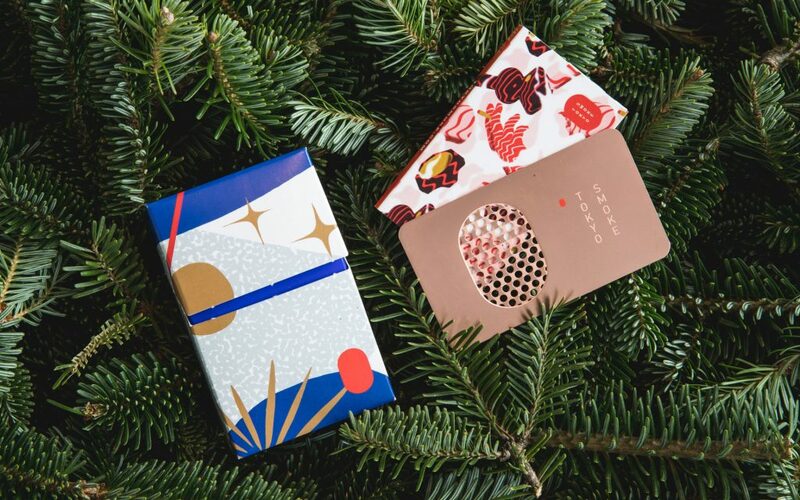 Tokyo Smoke, with outlets across the country, celebrates the holidays with this limited edition burn kit designed in collaboration with artist Antti Kalevi. What’s in the box? 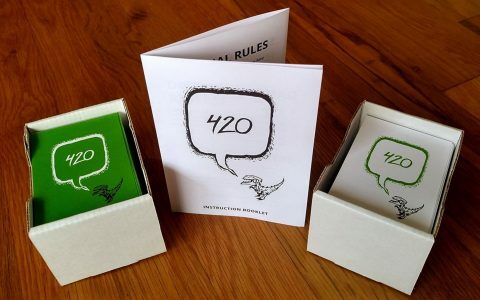 Rolling papers (with filters), a cardboard rolling tray, an aluminum poker, and a grinder card in a compact portable stash box priced at $30. 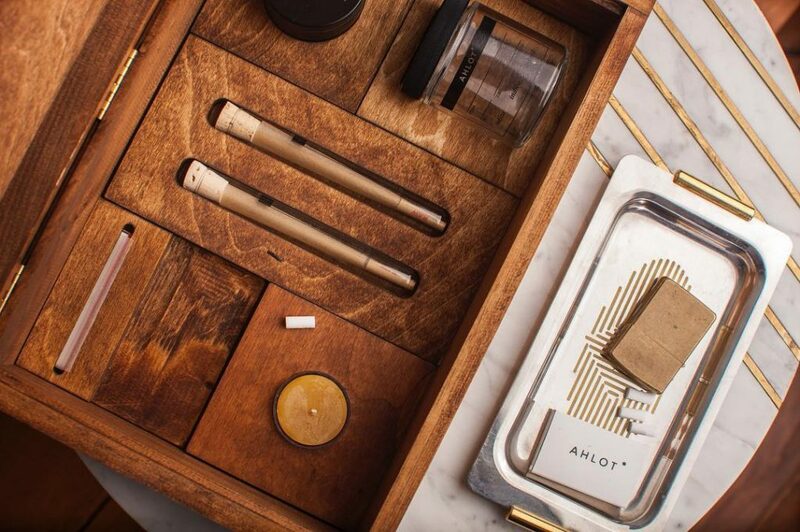 This lockable stash box from Toronto’s AHLOT houses a rolling tray, papers, filters, a grinder, pre-roll tubes, a glass storage jar, and a beeswax candle. Available from the OCS for $160. 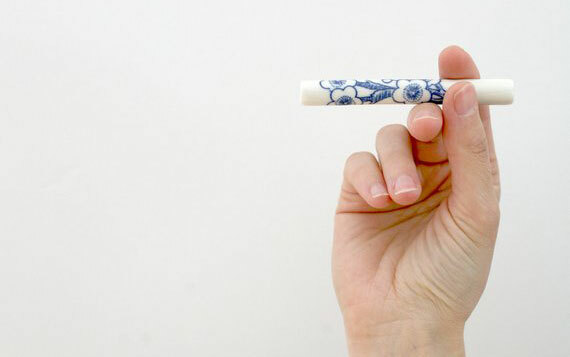 This porcelain one-hitter ships straight from Sherbrooke, Quebec and is available on Etsy from RelachebyAetM for $57.71. 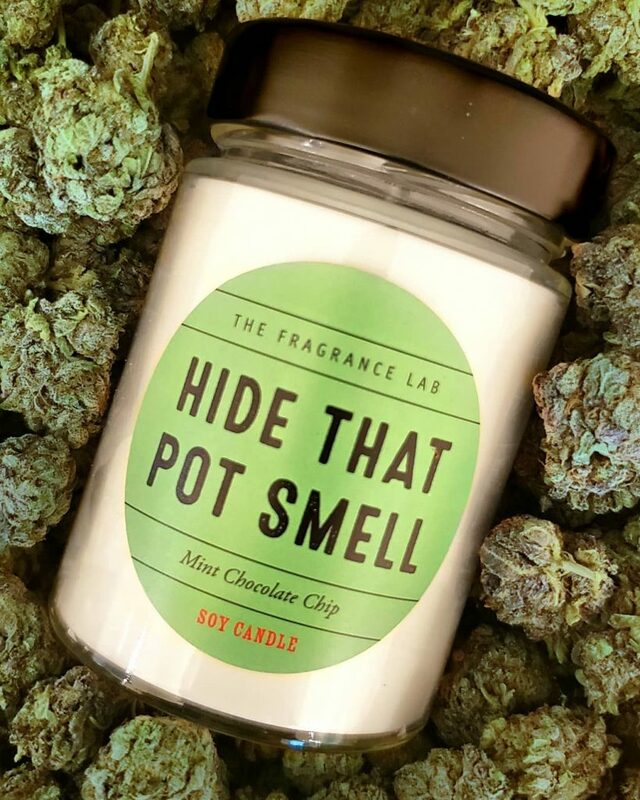 Made in Hamilton, Ontario by The Fragrance Lab, this mint-chocolate scented soy candle will do exactly what its name suggests: hide that pot smell—which could be super handy when your inlaws/landlord/etc. drop by unannounced. Find it priced at $24.40 and available via Etsy. 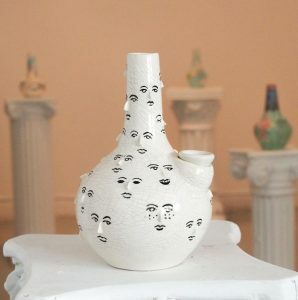 Montreal artists Richard Lawson and Kristian North create these high end, ceramic bongs that are one of a kind art objects. No two are alike! 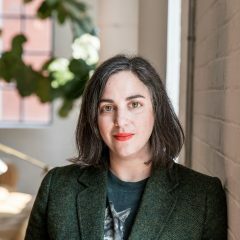 Prices start at $370 for house-glazed faves, while the Montreal Painters Series features collaborations with fellow artists. 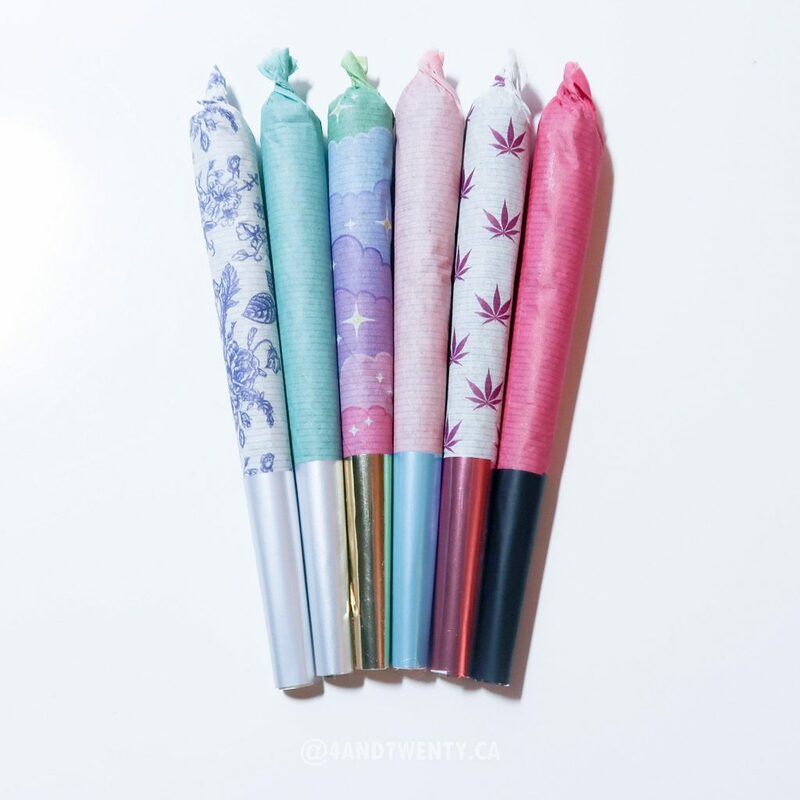 Canadian made and manufactured, Crowns from Eves of Eden will spruce up your cannabis ritual with flourished filter tips. 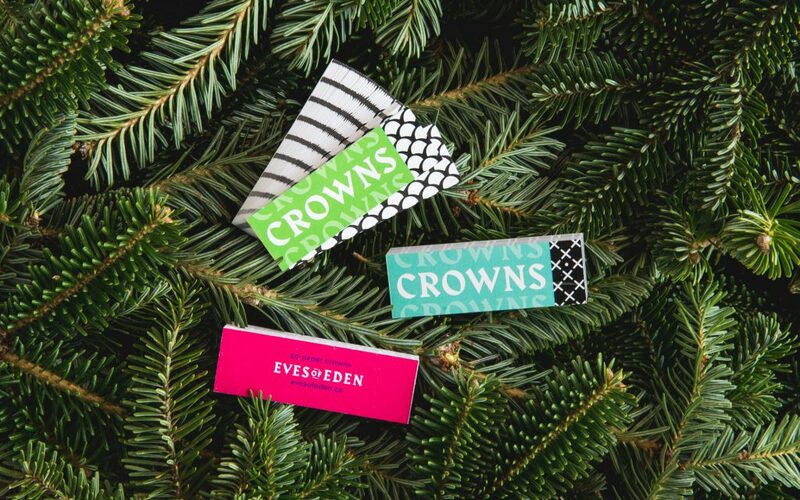 At just $3 a pop, the sweet accessory is an ideal stocking stuffer this holiday season. Stocking stuffers? Say no more. 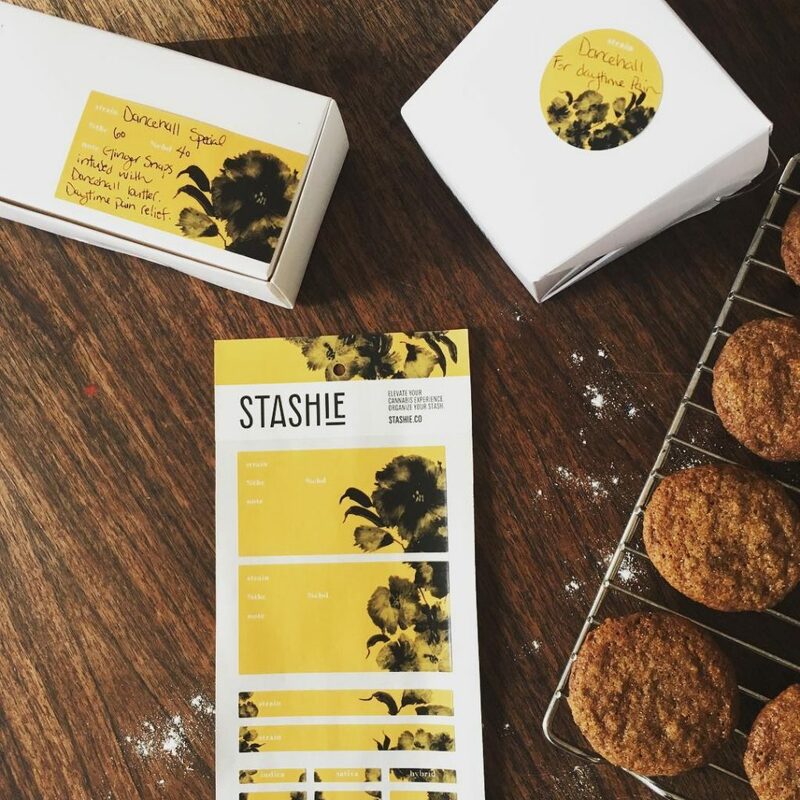 Stashie, made in Toronto–available for sale online–sells silkscreened labels for $6 a sheet so that gift recipients can safely store edibles and identify strains once removed from that unsightly Health Canada mandated packaging. 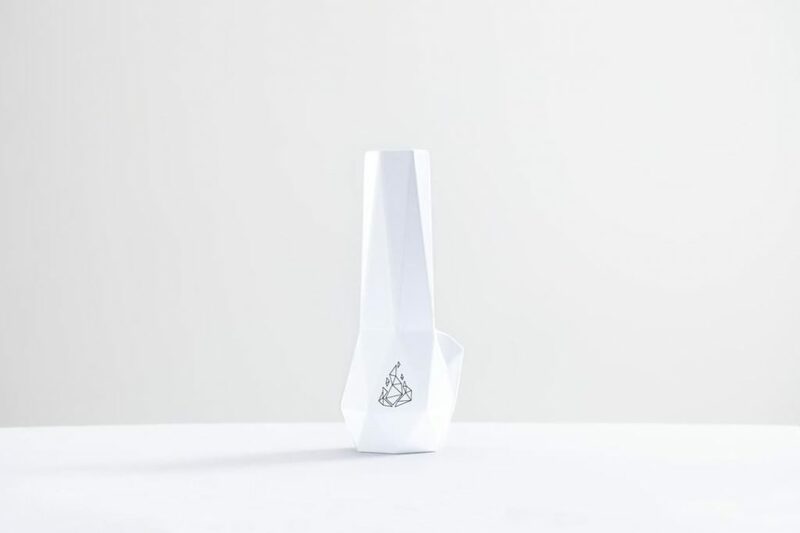 Founded by students of the University of Alberta, BRNT Designs offers a line of contemporary cannabis accessories including the Hexagon water pipe made from Canadian clay. Pick from red, white, or black finishes for $180 online. 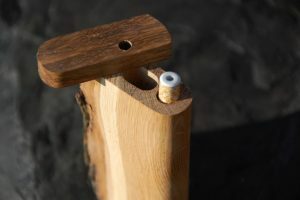 Handcrafted on the Canadian prairies, Futo crafts dugouts from live edge wood. The rustic storage solution for your stash also houses a one-hitter bat, and starts at $55. 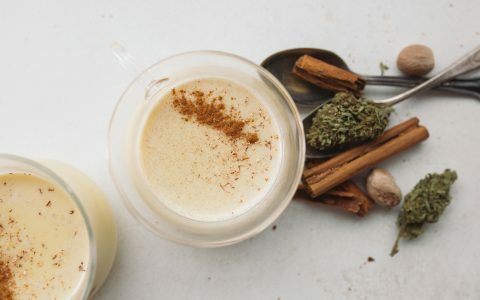 Toronto-based Four and Twenty will have you celebrating the holiday season in high style. 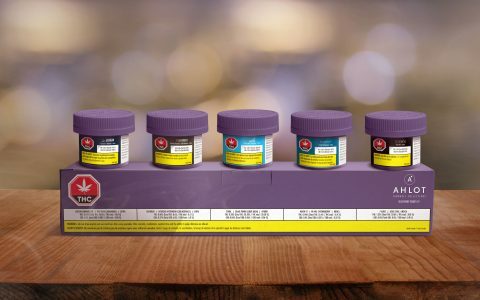 The online store offers festive rolls ready to be filled with flower. Roll this way! 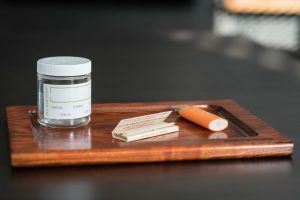 Calgary’s Diskreshen Wood & Design Shop crafts retro looking rolling trays ($79) that offer a sleek surface for packing a pipe and rolling joints. 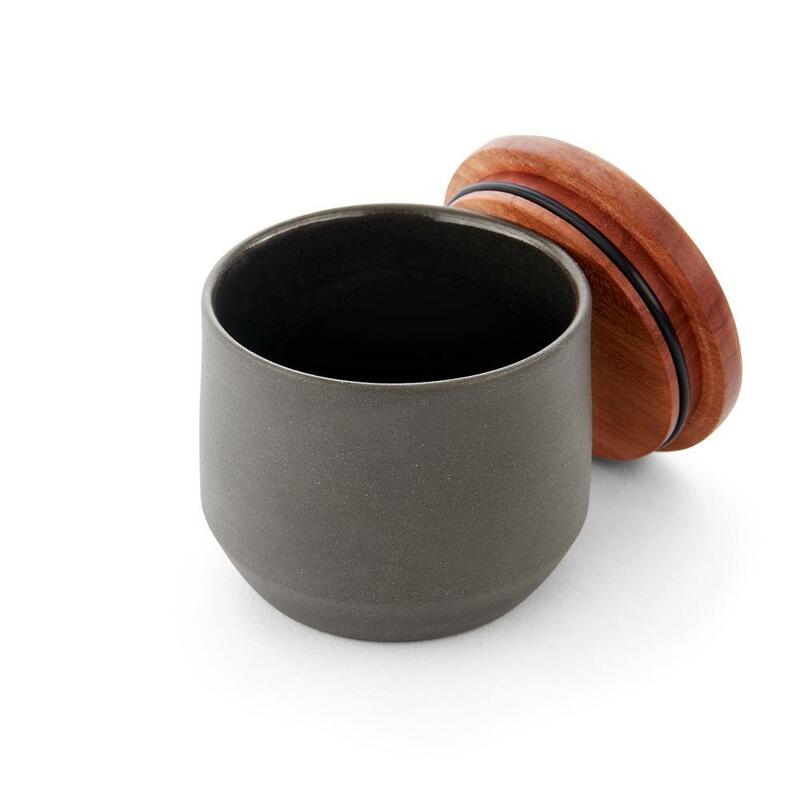 From Montreal’s Maitri, this hand-crafted ceramic cannister is airtight, odour-proof, and oh-so-stylish. Available for $95 online. 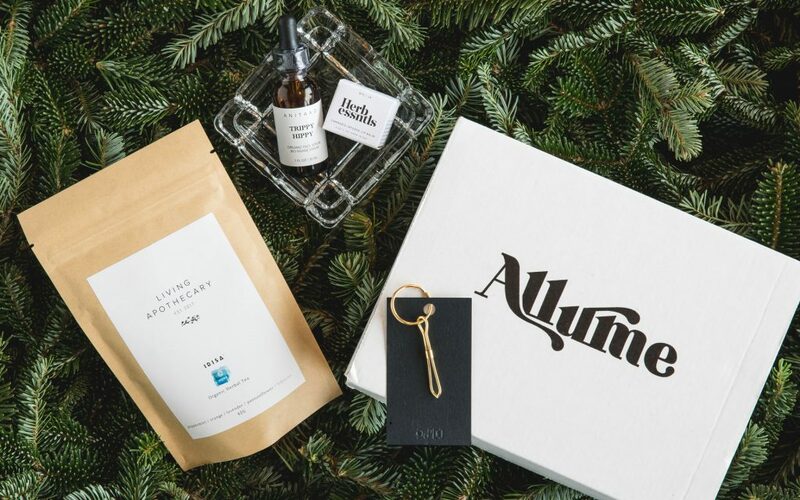 Montreal-based Allume will amp up your next sesh in style with monthly deliveries (from $65 per box) featuring a hand-picked selection of products ranging from rolling papers and roach clips, fragrances, ceramics, glassware, pouches, ashtrays, and more. 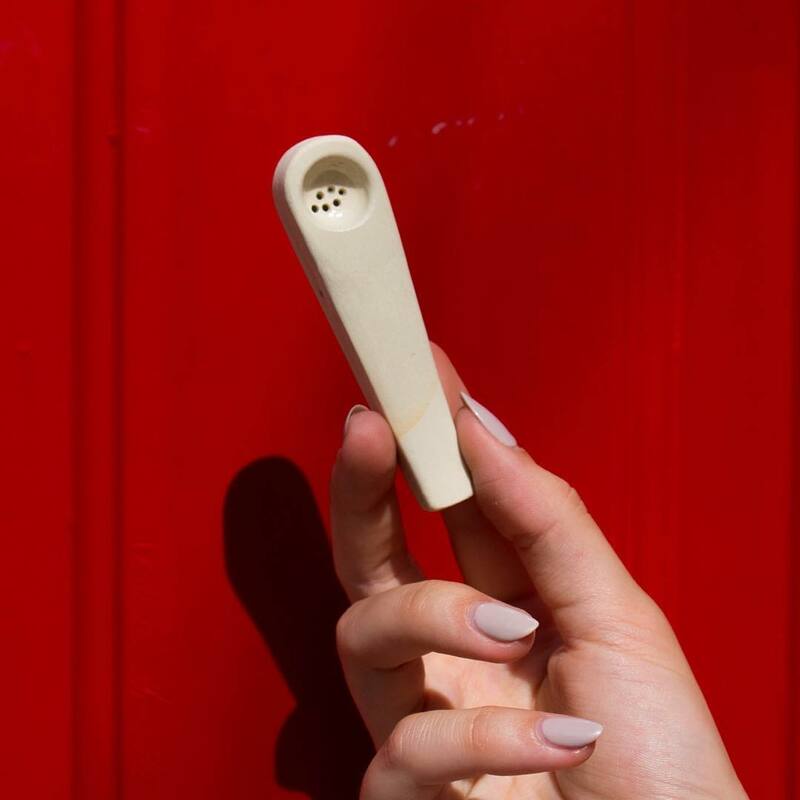 Made in Toronto, this slip-casted stoneware pipe, priced at $72, is good to go any time of day. High Noon products are available online or from stockists across Canada. 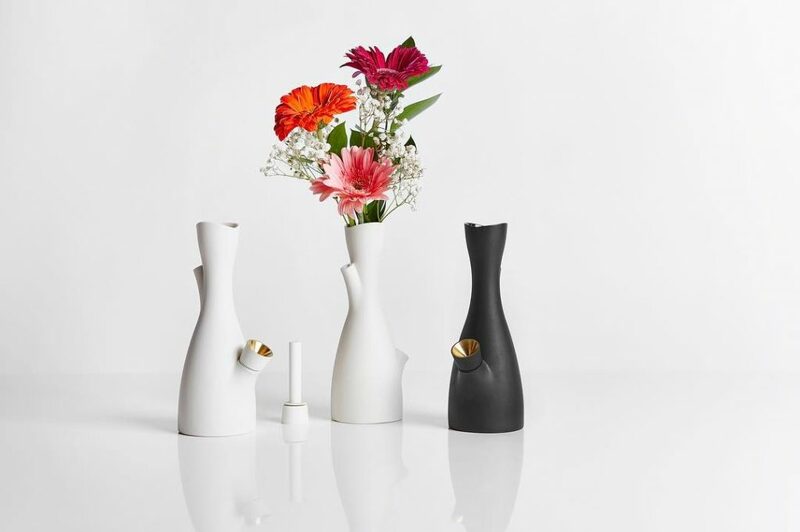 From Toronto-based Castor Design, this sculptural raw porcelain bong with powder-coated brass bowl elevates pot paraphernalia to a new high. Find it for sale at Tokyo Smoke for $335. 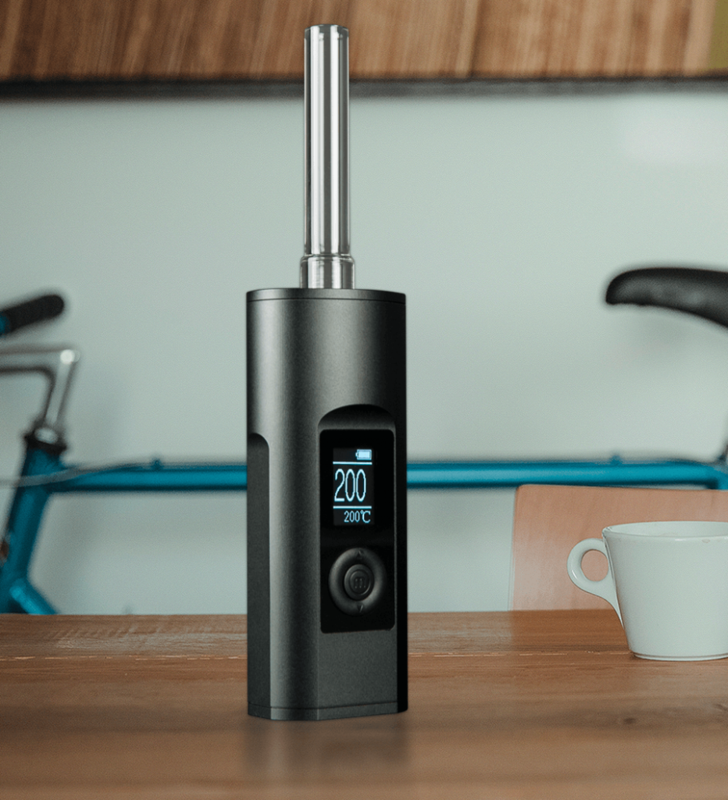 Waterloo, Ontario-based Arizer makes this powerful portable vaporizer that boasts 20 uses per charge. At $187.49, this wishlist-worthy vape is a good one to ask Santa for. 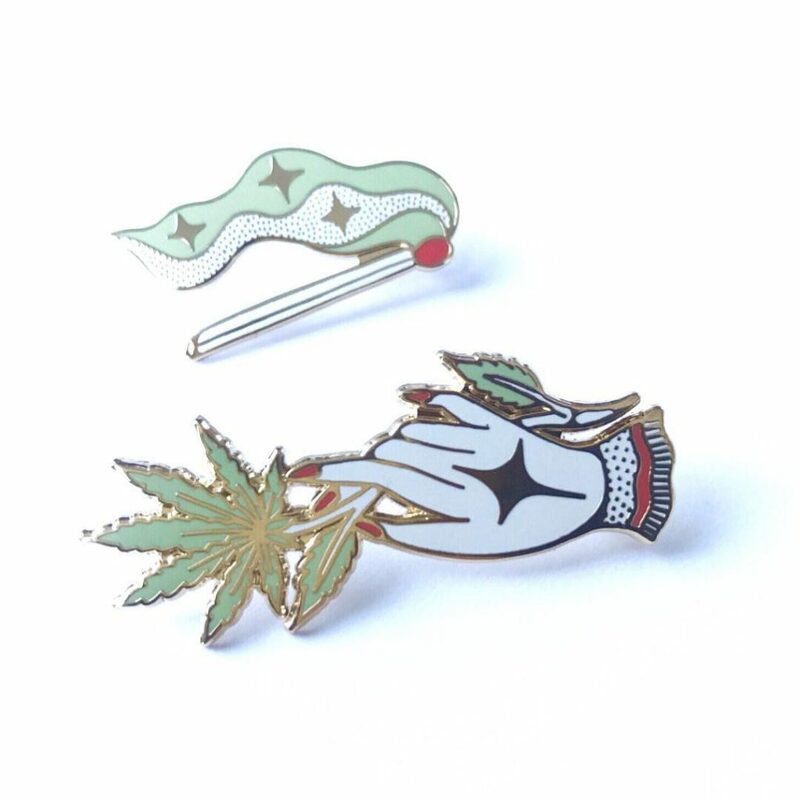 Available from Milkweed, this totally lit accessory—just $16—comes courtesy of East Van tattoo artist Ali Bruce. 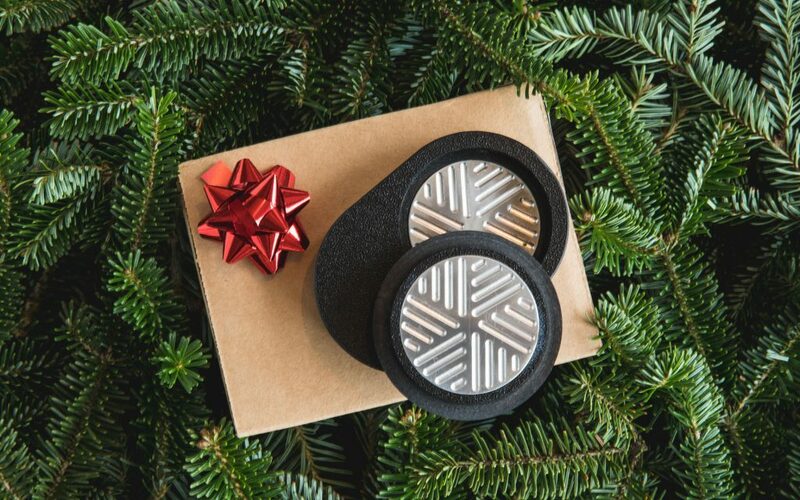 This minimalistic grinder is a crush-worthy stash kit essential that boasts both form and function. From the namesake Canadian brand, find it in stores from British Columbia to Ontario or pick it up online for $50. I love this list. I want to buy them all! 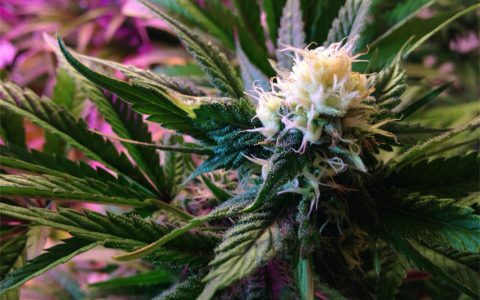 Merry Cannabis Christmas to all.